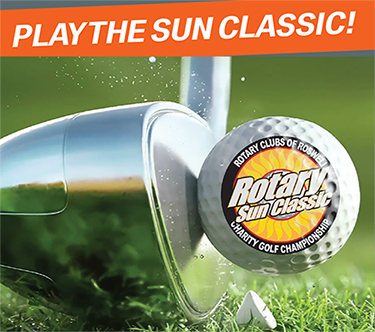 The Rotary Sun Classic is a two-day, 36-hole medal play event open to professionals and amateurs. 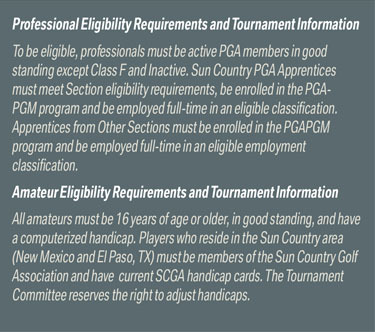 Sanctioned by the Sun Country PGA, the tournament maintains a professional tournament atmosphere using USGA rules. The first day of medal play will pair each professional with three amateurs for a best-ball team competition. This is a “tournament within the tournament.” At the same time each player will be playing the first 18 holes of the medal play event. Pro-Am teams will compete for pro shop credits with separate payoffs for morning and afternoon teams. Day two will see parings within your flight and a strictly individual competition. 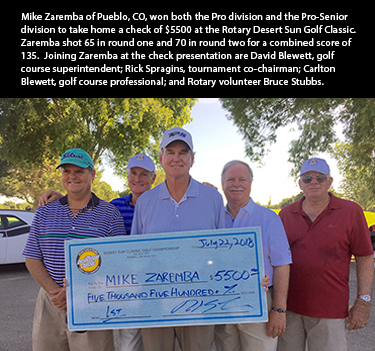 Pro-Senior golfers have a separate division and prize pool. Pro-Seniors will have the option of competing in both the Pro Division and the Pro-Senior Division with the payment of an additional entry fee. $300 for Pro-Seniors playing both divisions. 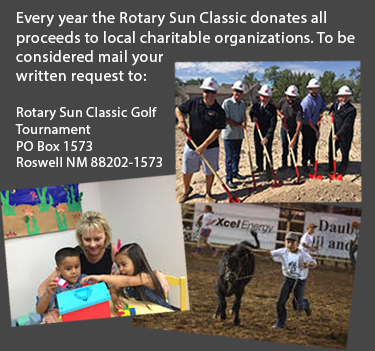 Your entry fee includes range balls and green fees Friday through Sunday plus half-cart rental Saturday and Sunday. 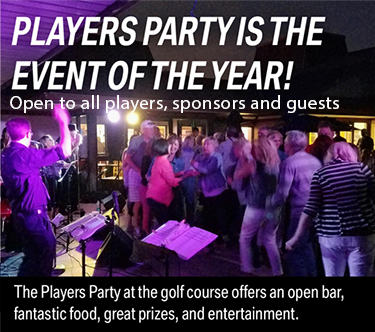 It also includes two tickets to Players Party plus breakfast and lunch on the course during the tournament. The shootout is sponsored by Bank of the Sounthwest is Friday afternoon at 3:00 p.m. with $4,000 in prizes. Limited to 60 entrants, six flights of ten are determined by handicap. Each flight tees off together and the high scorer is eliminated on each hole, leaving one golfer standing after number nine. Entry fee is an additional $50. A block of rooms is being held until July 1st for $99 per night. 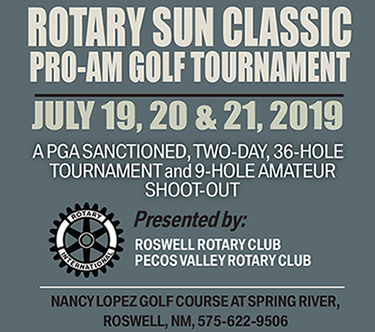 Call 575-623-3216 for reservations and ask for the golf tournament special.